The Israel Navy has begun installation of Barak 8 medium-range surface-to-air missiles onto the Sa’ar 5-class corvettes, in an effort to protect the nation from the Syria’s Yakhont Russian anti-ship missiles. 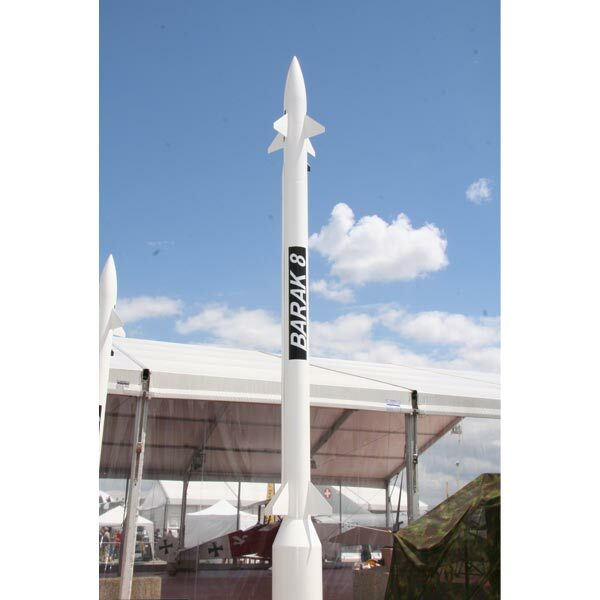 The Barak 8 missile, jointly developed by Israel Aerospace Industries (IAI) and the Defence Research & Development Organisation (DRDO), will allow the ships to defend against an array of threats such as anti-ship missiles, manned aircraft, drones and supersonic cruise missiles, the Yisrael Hayom daily reports. Soon to be fully operational, the 4.5m-long missile features MF-STAR multifunction surveillance track and guidance radar to provide mid-course guidance updates for the missile. The safe carry-and-launch missile, which has a maximum range of 70km, can be used to intercept supersonic sea-skimming anti-ship missiles and high altitude targets. Additionally, the missile can simultaneously engage multiple targets in severe saturation scenarios and its high performance warhead uses an effective hit-to-kill mechanism to provide multi-target capability. Israel has conducted the first test of Barak-8 missile in May 2010 while the Israel Navy currently operates three Northrop Grumman Ship Systems-built Sa’ar 5-class ships. "The missile can simultaneously engage multiple targets in severe saturation scenarios." Yisrael Hayom quoted an unidentified source as saying: "No ships in history have been capable of controlling vast expanses like the Israel Navy will be able to with the Barak 8." Capable of accommodating a crew of 74, the Sa’ar 5-class vessels are armed with either a Raytheon/General Dynamics mk15 Phalanx close-in weapon system (CIWS) or a Oto Melara 76mm gun, as well as six 324mm mk32 torpedo tubes for ATK mk46 torpedoes. The 85.6m-long and 1,275t ships feature AN/SLQ-25 Nixie towed torpedo decoy system, Elta EL/M-2218S air search radar as well as combat system to provide multiple offensive and defensive capabilities. Image: A naval Barak-8 missile. Photo: courtesy of Georges Seguin.